Facebook has spent the past few weeks on an apology tour amid the fallout of its Cambridge Analytica data-sharing scandal, in which the company lost control of extensive information on 50 million users harvested without their consent. They’ve dispatched founder Mark Zuckerberg to recite talking points, shuffled around some privacy settings, recalibrated Zuckerberg’s talking points, and in between relatively meaningless other directives, taken out full-page newspaper ads saying sorry (and subtly mentioning they expect other similar incidents to emerge). Oh, but you were looking for some actual, systemic changes in the way Facebook handles user data to better safeguard your privacy, not some tweaks around the margins? You sweet summer child. Per Reuters, Zuckerberg says the company has no plans to comply globally with the European Union’s strict new General Data Protection Regulation law, which takes effect in May 2018. That’s the one that requires companies to get explicit user consent before collecting data, be transparent on how that data is collected and sold or shared, and disclose data breaches within 72 hours. 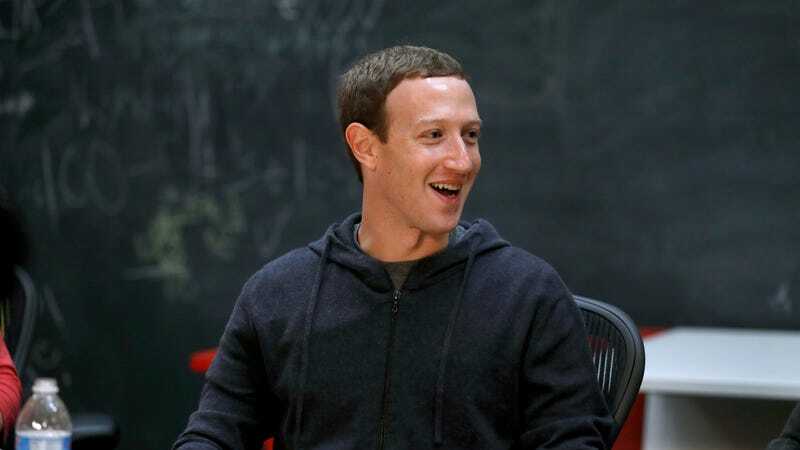 Zuckerberg has previously conceded that the company should be regulated in a few limited areas like political advertising transparency, but this interview should make clear Facebook will only self-regulate to the extent that it doesn’t threaten its data-hoarding business model. Got any complaints? Good luck complaining to the band of corporate-friendly stooges currently in control of the federal government. Apple—whose CEO Tim Cook has came out in favor of more stringent privacy regulations lately—has committed to following the guidelines of the GDPR globally, Reuters noted. But Apple is primarily an image-conscious hardware company that doesn’t have an extensive ad business. Google, Facebook’s counterpart in a duopoly that now threatens to control 84 percent of digital ad dollars worldwide by the end of the year, has similarly declined to implement GDPR-style policies worldwide.